You may have noticed the Lifelock identity theft TV commercials. In one, a uniformed man is stationed in a bank, when armed men order everyone to the floor. Alarmed customers implore him to “do something!” His response is “oh, I’m not a guard, I’m a monitor. I am supposed to tell you when there’s a robbery.” (Pause) “There’s a robbery,” he announces. Another commercial for that company depicts an unfortunate individual in a dentist’s chair while two dental “monitors” advise him that he has a really bad cavity: alas, they are monitors, not dentists. They break for lunch leaving our unfortunate patient in the dentist’s chair. The voice-over intones “why identify a problem if you’re not going to fix it? It’s a pointed message, but still humorous. Applying that question to our state’s gaps in earthquake preparedness and plans for long term recovery is less funny. 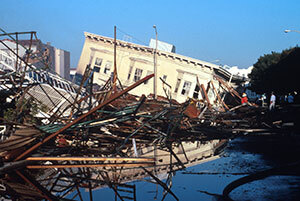 Emergency managers routinely describe to anyone who will listen the potential impact of earthquakes in terms of disruption to normalcy and illustrate fairly graphically the potential long term recovery challenges a major or catastrophic earthquake may present (absent electrical power, a functioning transportation system, a compromised communications, etc.). 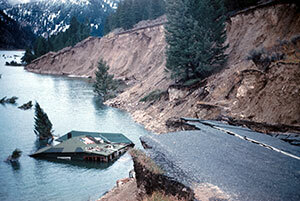 Despite overwhelming evidence of such consequences, accelerated support for emergency management is seldom forthcoming. Like the bank customers on the floor, or the dental patient immobilized in his chair, once an earthquake occurs there will be an expectation among local and state elected officials that emergency managers will do “something.” But, that will be too late. The capability to do enough, during or after the fact, will have been limited by the failure to heed the ample warnings, in advance that our readiness has significant gaps. The Seattle Times recently cited a “draft” report of the Cascadia Rising Exercise, held this past June that indicated that state and local agencies are woefully underprepared to meet the challenges of a 9.0 magnitude quake. This shouldn’t be news; it confirms and expands upon similar findings from the 2012 Evergreen Earthquake Exercise Series. This election season affirmed a trust deficit between government and the governed. A public dialogue aimed at preserving the economic and social equilibrium of the state, led by a government that is candid about its shortcomings enlisting citizens in the effort to attack preparedness and recovery planning gaps, might help close that deficit. The upcoming state budget cycle is an opportunity to deal with significant challenges revealed in two major earthquake exercises over the last five years. The geological alarm clock in our region is ticking. We just don’t know when it will go off. Why identify a problem if you are not going to, at the very least, start to fix it?